JPMorgan's regional headquarters in Hong Kong's central business district. Police said the 33-year old man jumped from the top of JPMorgan's regional headquarters in the city's central business district. He was pronounced dead at a nearby hospital at 2:30 p.m. The death of the Hong Kong resident was being treated as a suicide, police said, adding that they were investigating pressure of work as a possible motive. JPMorgan (JPM) confirmed that a "tragic incident" had taken place at its offices in Chater House, where it occupies the top 10 floors. "Out of respect for those involved, we cannot comment further," the company said in a statement. "Our thoughts and sympathy are with the family that's involved at this difficult time." A source at the bank said the man -- identified by police only by his surname, Li -- was a junior employee. 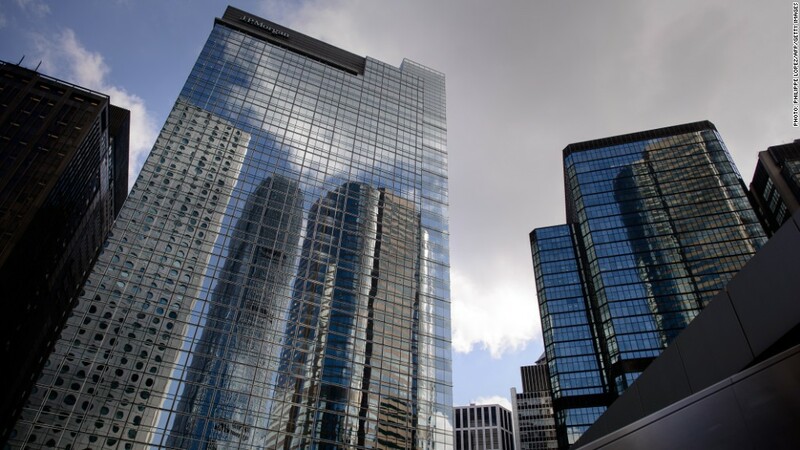 Late last month, the U.S. bank confirmed an employee died after falling from its 33-story tower in London's Canary Wharf financial district. Gabriel Magee was 39 and worked at the investment bank's technology arm. London police said at the time that they were treating the death as "non-suspicious." An inquest has been set for May. A third JPMorgan employee suffered an untimely death earlier this month. Ryan Crane, 37, an executive director in the Global Equities Group in the bank's New York office, was found dead in his suburban home on Feb. 3. A spokeswoman for the chief medical examiner of Connecticut said the cause of death was still under investigation. -- CNNMoney's Chris Isidore and CNN's Vivian Kam contributed reporting.